The main feature of GY100 is DS mode specifically for use with high speed digital rudder servos.This gyro features high sensitivity and minimal reaction time, fully utilizing the potential of modern high speed digital rudder servos like Futaba S9257 servos. When you turned on DS mode (Dual sense adjustment function), it is more sensitive to adjust gyro degree from 0.5 degree/s to 800 degree/s smoothly and precisely response within 2 second. When raising or descending your helicopter rapidly, the tail of helicopter have no swing. This is specially best for aerobatic 3D flying, it will be more steady and easily to control. If you are using GY100 and your 3D flighting performance will be upgraded to the next level. It will brings you a great surprised and delighted. 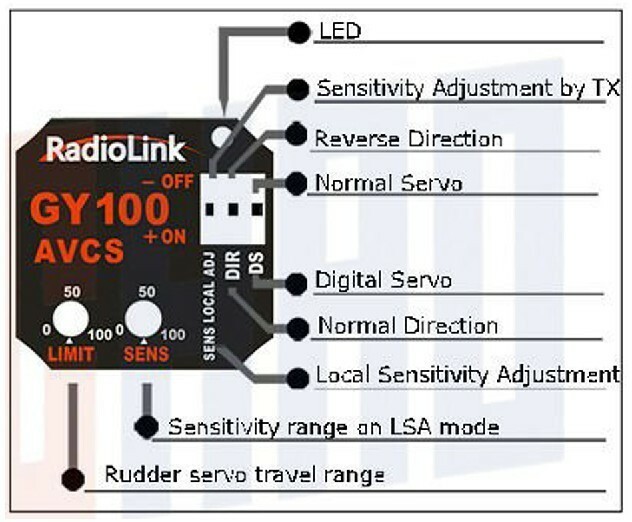 You can adjust sense on transmitter or gyro. Wide gyro rate range from 0.5degree/s to 800degree/s, offer faster, smoother response and consistent pirouette rates; Steady head-lock while hovering, which prevents tail from deviating anytime. Easy to get stable sensitivity, when you rotate helicopter fast, you can stop it immediately without any trembling! Offering superior 2ms response time on DS mode. When you change the helicopter between raising and descending rapidly, you almost can not see any tail deviating. Gyro operation direction switch, DS mode switch, Control sense trimmer, Limit trimmer, Remote gain control, AVCS/normal mode switching. Gyro is searching for the center point. Gyro can't receive the rudder controlling signal, rudder servo can not work. The center point of transmitter has deviated, gyro should be restarted. 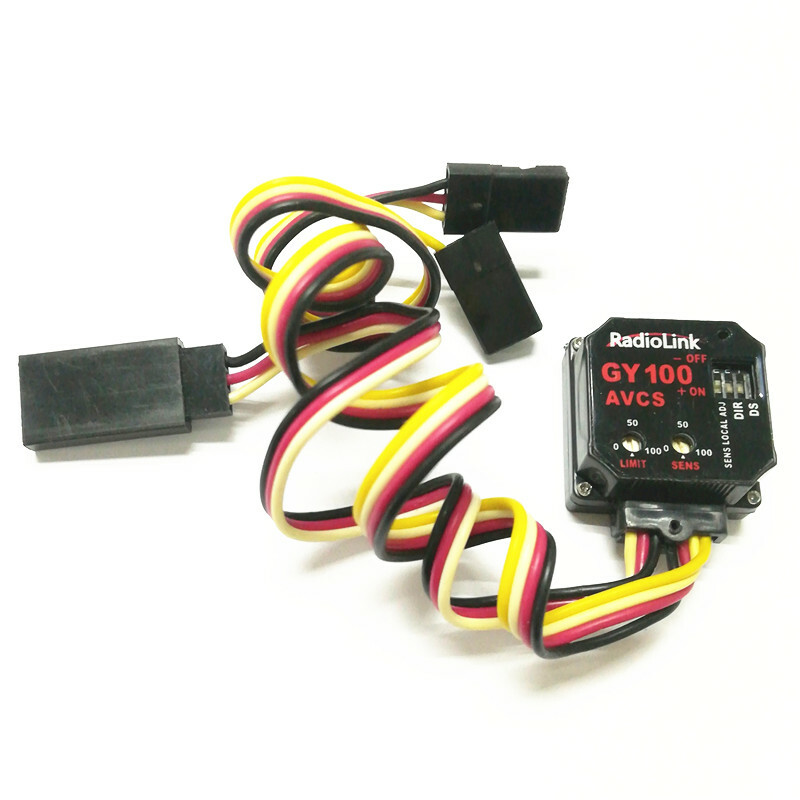 Click the button below to add the Radiolink GY100S Mini Head Lock AVCS RC Gyro For 450 500 600 Class Helicopter to your wish list.